Dine with other Newcomers. Children are welcome. Price for dinner is 50 DKK per person. 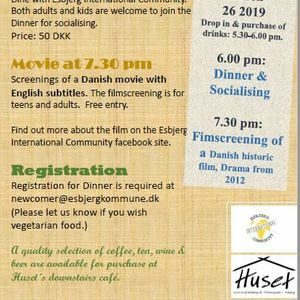 For those who wish to see a film we will at 7.30pm screen a Danish historic Drama with English subtitles.